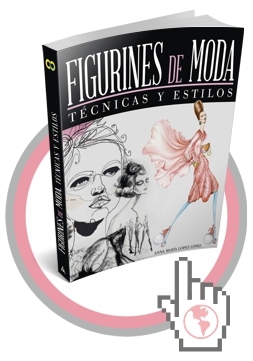 The book titled FIGURINES de MODA Tecnicas y Estilos ( FASHION FIGURES Techniques and Styles) is a book dedicated entirely to fashion figure illustration, published in Spanish language by well-known publisher ANAYA Multimedia Editorial ( Madrid - SPAIN) . The book with 272 full colour pages, features a curated selection of more than 250 of the best fashion sketches, croquis and fashion figure drawings created by international contemporary fashion designers and illustrators. It also includes fully illustrated interviews to professional fashion illustrators like Arturo Elena, Hayden Williams, Danielle Meder or JAA Design ( fashion trend illustration studio for WGSN). This beautifully illustrated and inspirational book is written by Anna Maria Lopez Lopez a Spanish renowned designer and book writer, specialist in computer-aided design, fashion and trends, with more than 20 years of experience and 10 published books. 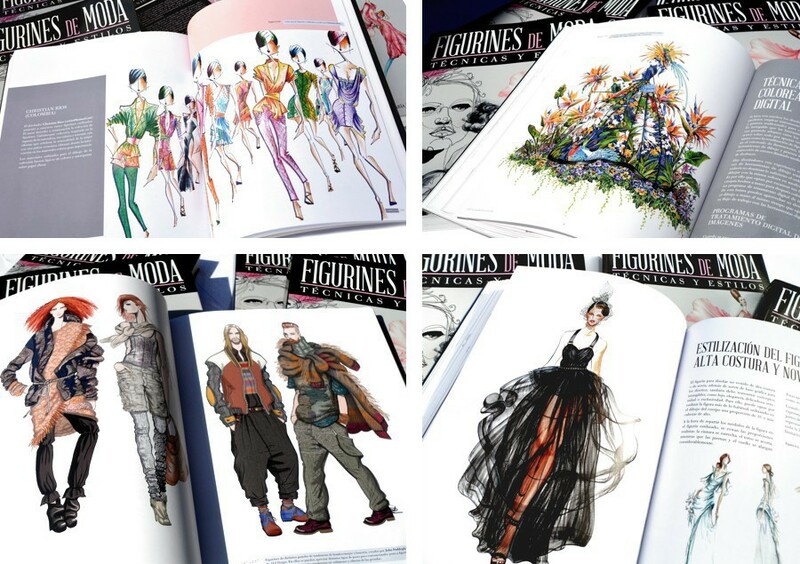 FIGURINES de MODA Tecnicas y Estilos is a text book for aspiring fashion designers and fashion illustration lovers that is visual, inspirational, and colorful. The dimensions of the book, perfect for enjoying all the fashion sketches details, edge-to-edge intense full-color illustrations, and eye-pleasing page layout, elevate this educational fashion book to a beautiful coffee table book. A must-have for all fashion lovers even in you don´t read Spanish ! At this moment the book is available in Spain bookstores and soon will be available in other Spanish speaking countries ( Mexico, Colombia, Chile, Uruguay, etc. ) . 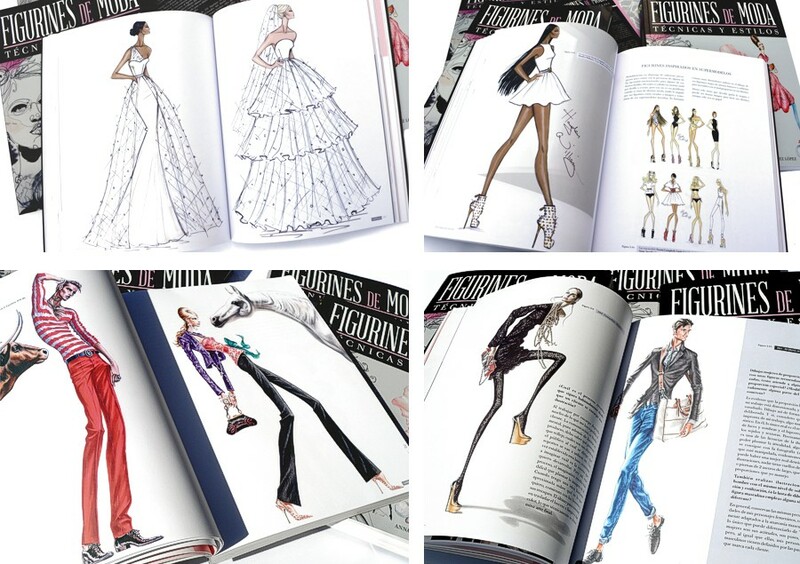 Sample pages of the book FIGURINES DE MODA - Tecnicas y Estilos featuring fashion illustrations by leading contemporary international designers and fashion illustrators, including fully illustrated interviews to Hayden Williams and Arturo Elena.